A tray or tub that is a contrasting colour makes any mark making show up really well. 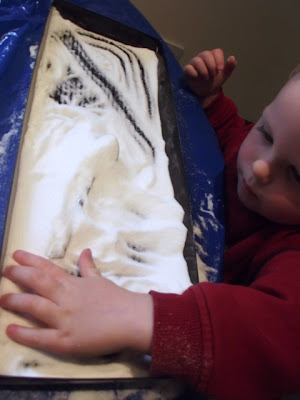 This is a lovely open ended activity with so much potential for variation and extension. 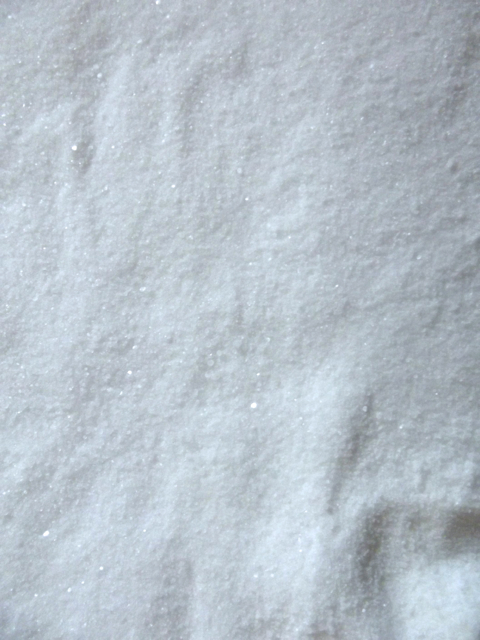 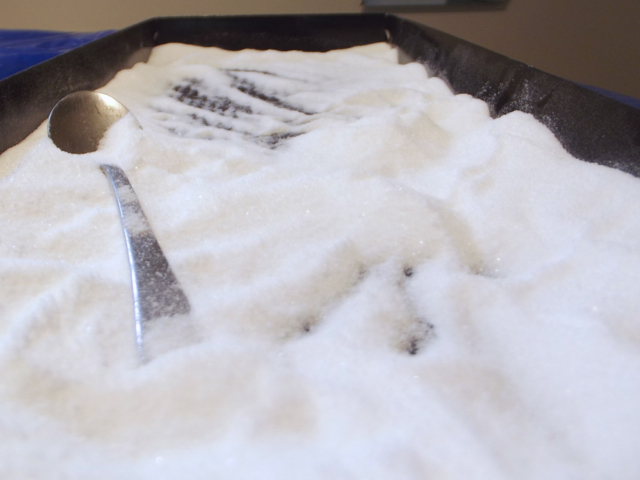 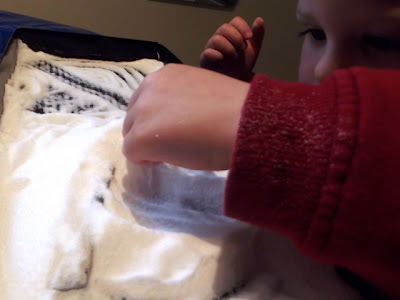 You could add animals and trees to make a snowy forest, add diggers for some snow ploughing action, add silver glitter for some sparkly fun, add a little water or even ice cubes for some snowman building... 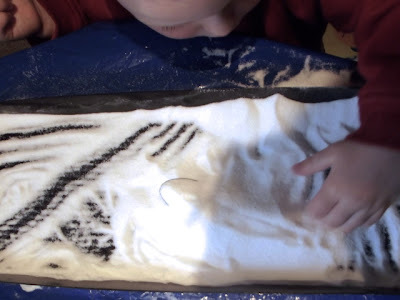 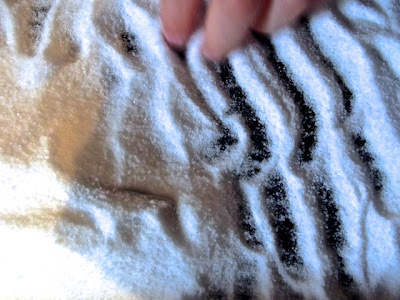 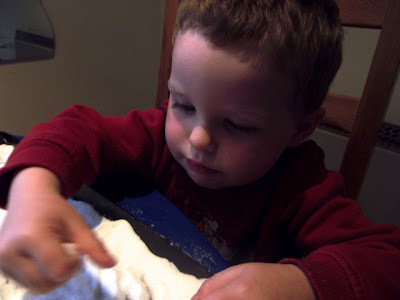 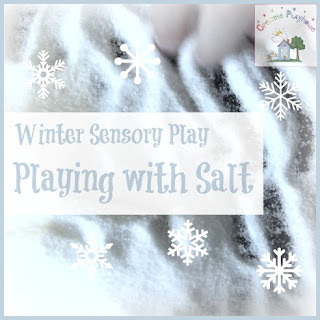 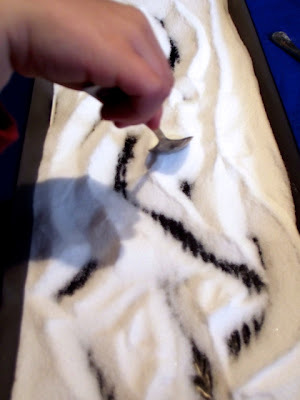 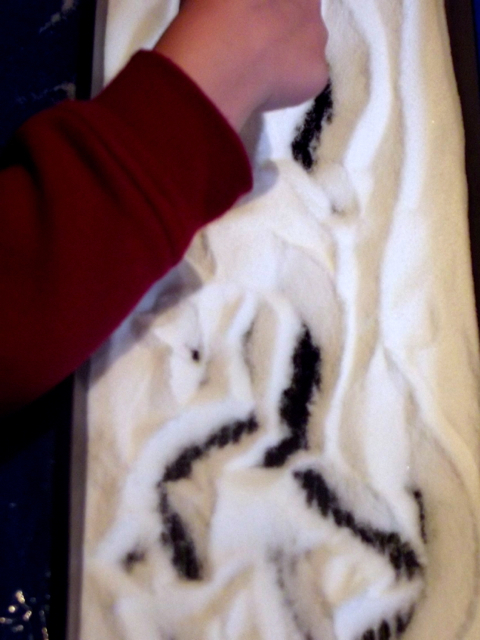 Check back for some more winter sensory play ideas coming up!